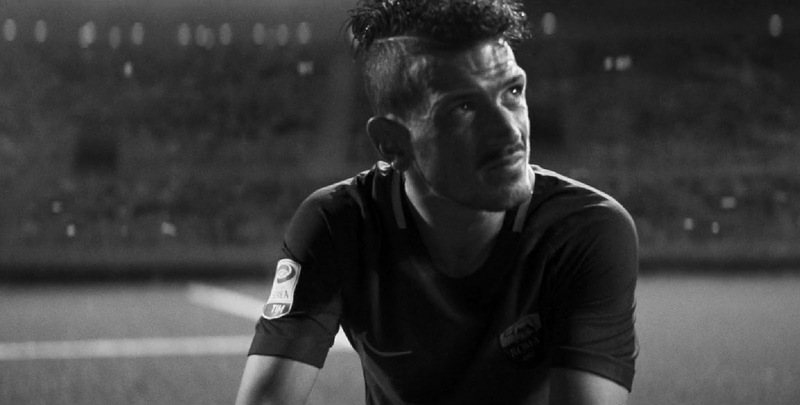 Egg Films’ Brent Harris directed For The Love Of Sport, Sky Sports’ epic new football ad, produced by Jon Ronbeck with Mapi Brambilla and Paolo Zaninello from AKITA Film in Italy. When Roma’s Alessandro Florenzi goes down injured, the ad captures the way an entire country joins together to get him back in play. Look out for cameos from the likes of Juventus’ Daniele Rugani, AC Milan’s Alessio Romagnoli, Fiorentina’s Federico Chiesa and Italian legend Alessandro del Piero. Grey United’s Christopher Jones and Serena Bruno conceptualized the ad, which was filmed just outside Milan in gorgeous black and white by DOP Justin Brown. Martin Leroy edited For The Love Of Sport at Whitehouse Post, with EDI extending the stadium in post and multiplying hundreds of extras into tens of thousands. See more of Brent’s ads at https://eggfilms.tv/south-african-commercials-director/brent-harris/. The top ranked production company at the 2017 Loerie Awards, Egg Films represents directors Brent Harris, Dan Mace, Dani Hynes, Kyle Lewis, Lebogang Rasethaba, Slim, Sunu and Zwelethu Radebe. We do TV ads, music videos, short films and other things too. For more information, visit https://eggfilms.tv.